This year we did something we’ve never done before. We willingly switched schools for our kids. Oh, sure, we’ve done the moving thing, the transferring-because-we-had-to thing, the graduating thing. Our eldest recently finished off primary school in his fourth school in seven years. Raising support, two terms overseas and one long home assignment will do that to you. But this summer, we readied ourselves for a switch of our own doing. Our family was staying put in Dublin, but a new school opened up. It was much nearer to us, it was very similar in ethos to the public schools my husband and I grew up attending, and it was significantly smaller than their current one. I walked by it one day, surprisingly (to me!) feeling an extreme burden that our younger two children should go there. We weighed pros and cons, researched the school, and prayer-walked the building for weeks. Finally I inquired about enrollment, applied and prayed some more. Several months later we got the call: our kids were in! Daily, I confessed my fears and anxieties to my husband, Matt. What if they hate it? What if they miss their friends? What if they don’t make new ones? What if it’s awful? He took it all in in his patient, mindful way, answering each fear with a fair amount of good spiritual truth. Our kids belong to God and all that jazz. You don’t understand, I told him, frustrated at his obvious lack of perspective. You just don’t. And it’s true: he didn’t. Matt grew up in the same house, in the same schools, for all of his first 18 years. He rode his bike a block down the same street every day, and came home from school, from college, from our first term overseas to the exact same house. His parents didn’t move from that Wisconsin bungalow until he was 35. His home, his place in that world was certain; the address permanently affixed on his little boy heart. His past knows one home. On my seventh birthday, my parents split up. My mother couldn’t afford the house on her own, so we moved. And then we moved again. We – my mother, sister and myself – settled a couple years later into a beautiful fixer-upper of a house with a new school and a new set of friends; a new neighborhood and a very new way of life. We all thought this would be our forever home, but it wasn’t. We’d move again a few years later, devastated from financial, emotional and relational losses. My dad moved frequently, too, so that by the time I married at 20, I could count a dozen separate residences between the two. Despite the situation, the difficulty of divorce and child support and moves, my parents worked to maintain a sense of security for my sister and me. They never moved out of state, kept us in the same school district, tried to keep communication open. But still we were wary, feeling forever anxious and out of place. Three decades on now and I must tell you this: the path was steep and rocky, but words cannot express how deeply I love my broken, beautiful family. 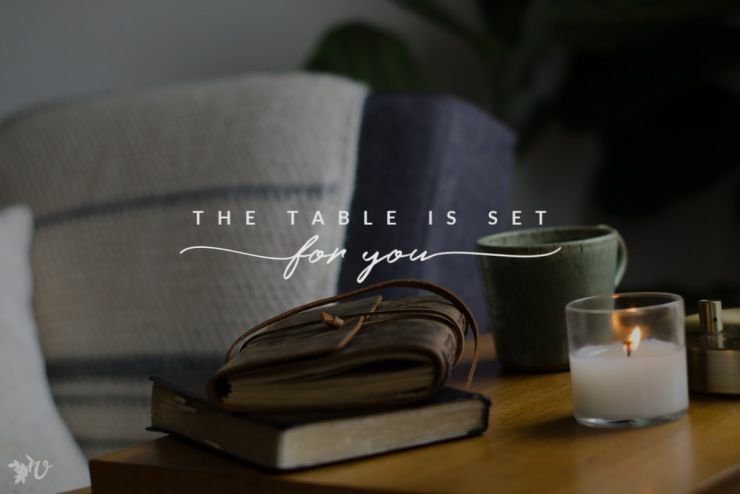 Back to last week, as I recounted the ways my children might end up miserable due to our unnecessary – though seemingly Spirit-led – changes, I realized the curse and the blessing of my past (realized is code for: I’m pretty sure Matt told me). The curse is that I project all my childhood fears and anxieties upon them. Sure, we are happily married and serving the Lord with glad hearts overseas, but I tend to discount the high value of that truth. When I see my children, I see myself walking into that school lonely and afraid, and more than a little bit angry with my parents. I think of all we put them through with moving overseas and back again and don’t even think twice about emotionally self-flagellating. I know what it’s like to be new, I understand the loss of moving, the uncertainty of change. I look beyond myself and see the alien and the displaced, children from broken homes and families reeling from job losses, and my heart aches for them. I know. I know that pain, that burden, and I can testify to making it through to the other side. 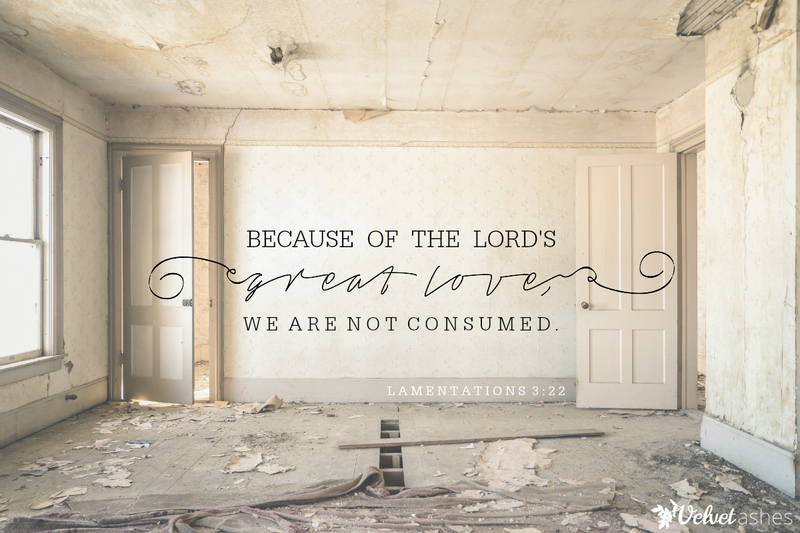 I remember the bitterness of a broken home and a broken heart, of new schools and frequent moves, “Yet this I call to mind and therefore I have hope: Because of the Lord’s great love we are not consumed, for his compassions never fail… Great is your faithfulness” (Lamentations 3:19-23). His character is unchanging (Malachi 3:6) and His love never quits (Psalm 136). Instead of a permanent home address, this eternal truth was placed like a mustard seed in my little girl heart, nurtured by my mother and the cloud of witnesses she surrounded me with. And like an olive tree flourishing in the house of God, I trust in His unfailing love (Psalm 52:8). And now, I am spurred on by it, though I am prone to wander, oh so prone to forget. I will remember to speak it over our children, pray it for them in their new schools. We will remember to live it in our community, to love and serve in action and in truth. I will remember: we are not consumed. Where do you need to remember: you are not consumed? What circumstances from the past have allowed you to flourish today? beautiful post to read this morning! Thank you! This really ministered to me. I need to post it where I can see it frequently! I keep telling myself I need to stop reading these posts in the morning before I go to work. The tears just keep coming recently. Several years ago in America I did my student teaching at an alternative high school for recent immigrants and refugees. A student looked at me and said, “You know. You are one of us.” So simple and yet so profound. My knowing the pain allows me to enter in as one of them. My knowing God allows me to move forward with hope. Thank you for this reminder. It is such beautiful truth and so easy to forget. Oh no! So sorry for the pre-work weep! The quote from your student so touches me and must’ve just knocked your socks off. I’m praying for a conversation like that in my own life, and praying it for my kids as well. Thank you for sharing it! My heart hurt a little when I read this, Karen. My hubby grew up in the same house, his parents have been in it for over 44 years. I lived in 13 houses in three countries in the first 18 years of my life. We are a moving family with two little kids, and I too agonize over how this is impacting them. 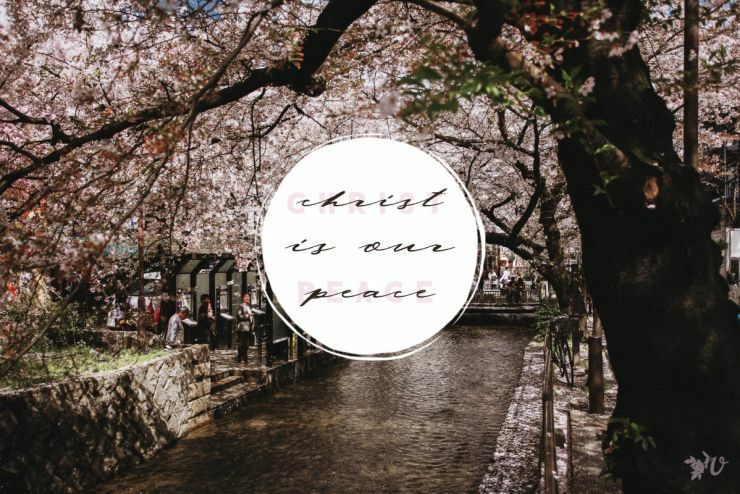 I need this reminder.. we are not consumed. Thank you for sharing! Sigh. My kids have moved 10 times over 2 continents in their brief lives. Thank you for reminding me that His mercies are NEW every morning, no matter where we are. Mine, too, Jennifer. I have parents of adult TCKs who (have to) constantly remind me our kids will thrive, will be so much better for it, and we need not worry. But still… so easy to worry! Thanks, Anna. It’s a reminder I need, too!